I have collected the following as a reminder for myself and for those searching for similar advice.The source of the article indicated for copyright purpose. Not a single word added by me.Please visit the original source to learn more about similar articles.You may share with your friends and relatives. Its sadka e zaariya. Dont miss this very important article. ‘The Believer’s weapon’ is how the Messenger of Allah (Allah’s peace be upon him) described du’a. ‘A slack bow’ is how Ibn-ul-Qayyim (ra) described the du’a that . . .
One reason (although not too common) for the non-acceptance of du’a is the du’a itself. This is when the du’a entails something disliked by Allah, Most High. For example, a man makes du’a to win the lottery or he makes du’a for barakah in his liquor business. A du’a of this sort could be compared to incorrect medication. For example, a diabetic taking hypertension medication to reduce his blood sugar levels. Du’as entailing things that disliked by Allah are fruitless just as incorrect medication yields no results. A second reason is inattention of the person making du’a. In the worldly life, inattention when speaking to people is regarded as rude. Inattention when seeking somebody’s assistance is not only rude; it indicates a lack of urgency and therefore unconvincing. In du’a, we speak to Allah and seek His assistance. Hence, paying attention and focusing on Allah is of paramount importance. Inattention in du’a is rudeness to Allah. Can we be rude to Allah and expect Him to still accept our du’as? Inattention in du’a also implies that, Allah forbid, we are not really in need of Allah’s help. Can anybody claim independence from Allah? It is for this reason that the Messenger of Allah (Allah’s peace be upon him) said that, “. . . Allah does not accept du’a from a negligent, thoughtless heart.” ‘Like a slack bow’ is how Ibn-ul-Qayyim (ra) described such a du’a. How far will the arrow travel if the bow is slack? If I say, ‘not too far’, you’ll probably say, ‘it will hardly leave the bow’. Just as you cannot hunt with a slack bow, you cannot seek Allah’s assistance with a ‘slack’ du’a – a du’a without concentration. I would compare a person who makes du’a in this manner to a hunter who has the best firearm but does not aim correctly. Alternatively, such a du’a could be compared to incorrectly administered medication. Do you blame your GP, the antibiotic he prescribed or yourself if you do not complete the course? 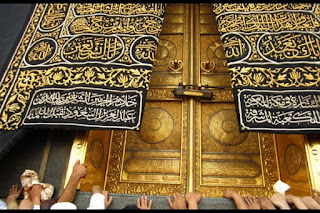 d. Doubt in the acceptance of one’s du’a – the Messenger of Allah (Allah’s peace be upon him) said, “Make du’a with conviction that your du’a will be accepted.” It is for this reason that we have been prohibited from saying, ‘O Allah, forgive me if you desire’. Du’a accompanied with any of the above could be likened to a diabetic who takes his medication religiously but does not reduce his sugar intake. Explaining the above in a different manner, many scholars mention that acceptance of du’a is similar to the validity of salah. Just as the validity of salah depends on certain shuroot (conditions), the acceptance of du’a is also dependent on certain shuroot. Is salah valid without wudoo? Is salah valid if the awrah (private area) is exposed? Is salah valid if the musallee’s clothes are najas (impure)? Is salah valid if the musallee (person performing salah) does not face the qiblah? The answer to all these questions is ‘No!’ Why not? Because wudoo, concealment of the awrah (private area), taharah (purity) of clothes and facing the qiblah are all shuroot for the validity of salah. The acceptance of du’a is similar; it depends on certain shuroot. f. Abstention from haram food, drink etc. g. Perseverance – He must not get tired of making du’a. 2. The shuroot of the du’a – There is only one shart (condition) in this regard viz. permissibility, whatever you are making du’a for must be permissible. The du’a is stronger than the difficulty and therefore deflects it. The du’a is weaker than the difficulty and therefore unable to deflect it. The du’a is neither stronger nor weaker than the difficulty. In this instance too, the du’a is unable to deflect the difficulty. In the words of a hadith attributed to the Messenger of Allah (Allah peace be upon him), the du’a and difficulty “wrestle with each other”. In short, one reason for the non-acceptance of du’a is insufficiency – you are not making enough du’a. A learner failed the physics examination. “Why did you not study?” his father scolded. “But I did study” he pleaded. That was the truth. He did study, except that he only did so on the night preceding the examination. How much could he cram in one night? So yes, he did study, but it was not enough. The same applies to du’a. We often make du’a, but not enough. 3. He averts an equal amount of hardship from his path. “Then we will make a lot of du’a” said the Sahabah (ra) when they heard this. the Messenger of Allah (Allah’s peace be upon him) replied that no matter how much du’a they make; Allah’s treasures are always more! Considering the divine promise in ادْعُونِي أَسْتَجِبْ لَكُمْ (Call me, I will accept your call) and the above narration, many scholars have concluded that Allah accepts all du’as. Nevertheless, rejection of du’a due to reasons explained thus far is also a reality. Observation of the shuroot (conditions) of du’a is therefore essential. Call Him with fear and desire. Certainly, Allah’s mercy is close to the good-doers. According to one interpretation, خَوْفًا (khawf) indicates fear that one’s du’a may be rejected and طَمَعًا refers to desire for one’s du’a to be accepted. Furthermore, acceptance of du’a is only due to Allah’s mercy. Hence, we conclude that du’a accompanied with fear and hope is close to acceptance (sure to be accepted). ‘Like the two wings of a bird’ is how Shaikh Ahmad As-Sawi described such fear and hope. No bird flies with only one wing. Similarly, our du’as do not ‘fly’ to Allah without the wings of fear and hope. Observe all the conditions and adab (etiquette) of du’a and do not ever give up because ‘the door is eventually opened for the one who does not stop knocking’.